You may be eager for spring to arrive so you can start working on renovations or updates for your home. What you may not realize is that there are a variety of home improvement projects for winter that will keep you busy until warmer weather arrives. Here are five suggestions to help you get started. In the past, people waited until spring or even summer to paint the inside of their homes because of the paint fumes. With the development of low odor and low VOC paints, you don’t need to worry as much about working in closed spaces. It’s also one of the cheapest ways to improve the look and value of your home. If you have old carpet or scratched wood floors, you can use winter to replace or repair your old flooring. Tearing up old carpeting is a DIY project, and you may even be able to lay the new flooring or finish the hardwood underneath yourself. You can also repair scratches and dings on your wood floors and then re-stain them so they look brand new. This is one of the home improvement projects for winter you won’t see when it’s completed, but you’re sure to feel it. 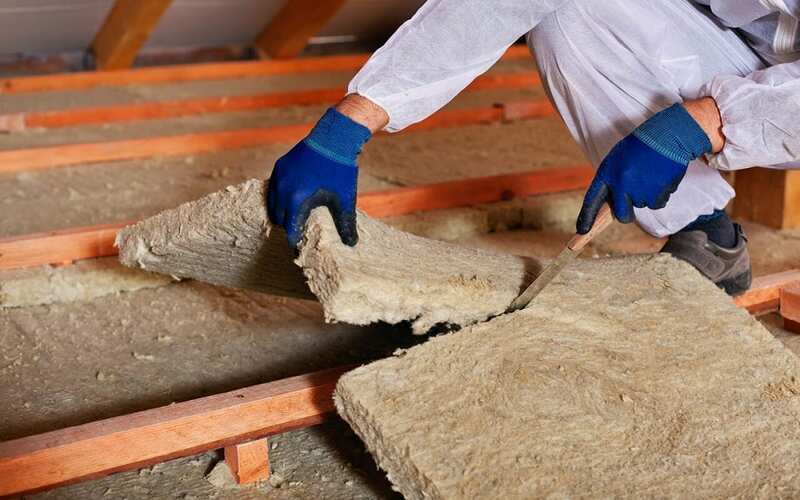 Adding insulation not only keeps your home warmer and more comfortable, but it can also add value to your property when you decide to sell. Just make sure you get the right kind of insulation with the correct R-value for your climate. This can be a DIY project if you are comfortable climbing around in the attic or you can hire a professional. Make sure to wear protective gear when handling insulation. This winter project and other winterization tasks can help you save money on your heating bill. If you’re planning to sell your home next spring or summer, now is the time to begin preparing. Decluttering may not be one of the most fun home improvement projects for winter, but it can be one of the most valuable. Getting rid of excess stuff so your home shows well is an important and often time-consuming task. Now is the time to reduce the amount of stuff you own or put it out of sight. You can go through closets, cabinets, clear off countertops and shelves, and even store extra furniture. On those cold days when you don’t want to be outside, you can sit down with a box of items and sort through them. Even if you aren’t planning to sell your home, decluttering can change the whole feel of the house. Winter is often the slowest season for homeowners, but it doesn’t mean you can’t accomplish some big tasks. Take on one or more of these home improvement projects for winter and see how much you can improve the look and feel of your home before next summer. Inspect It Neil serves New Jersey with home inspection services. Contact us to schedule an appointment.